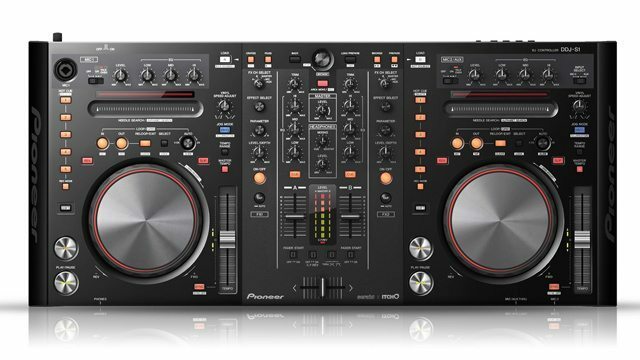 The Pioneer DDJ-S1 is just over a year old now, having been announced at NAMM 2010. While a number of other controllers have come on the market since, how well does it hold up? And if we were to compare it to the VCI-300, what makes the S1 superior? When I first heard about Serato’s program to launch their Itch platform a few years back, I was overjoyed. 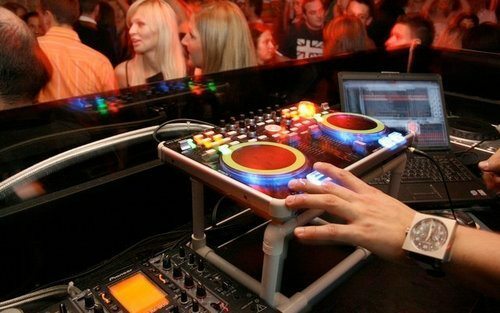 Finally, a way for me to play gigs using my Serato software setup without having to lug turntables around. While most of my gigs are in nightclubs where two Technics 1200s and a Rane TTM57 are the norm, I find myself booking more high-end corporate and private events where I’m responsible for providing the equipment. Anyone who’s ever lugged a pair of 1200s in flight cases or a coffin from point A to point B, knows that this is a cumbersome and frustrating process of schlepping around 30+ pound giant electromagnet driven turntables, all for the sake of accurate turntable control. Sometimes it just doesn’t seem like a worthwhile cause. Then came the Vestax VCI-300, the first real attempt at a portable turntablist based mobile DJ solution for Serato Users. Given Vestax’s extreme participation in the turntablist movement, this thing was slated to be a game changer. In my two year tenure with the VCI-300 as my preferred mobile device, I’ve gotten to know quite well the pros and cons of this benchmark device, and although it well completed the task at hand, and it’s an expressive mobile DJ controller that is built for the well-versed turntablist, it definitely left me yearning for the next big thing, which seemed to have arrived in a shiny new Pioneer DJ box. The DDJ-S1 was Pioneer’s first delivery into the controller world, concurrent with the DDJ-T1, and at first glance it looked like some sort of futuristic hybrid between a set of CDJs and a DJM-800. Coming in at just over 27″ in length 12″ wide and just over 11 pounds, this package is just the right size for a convenient yet robust mobile DJ device. 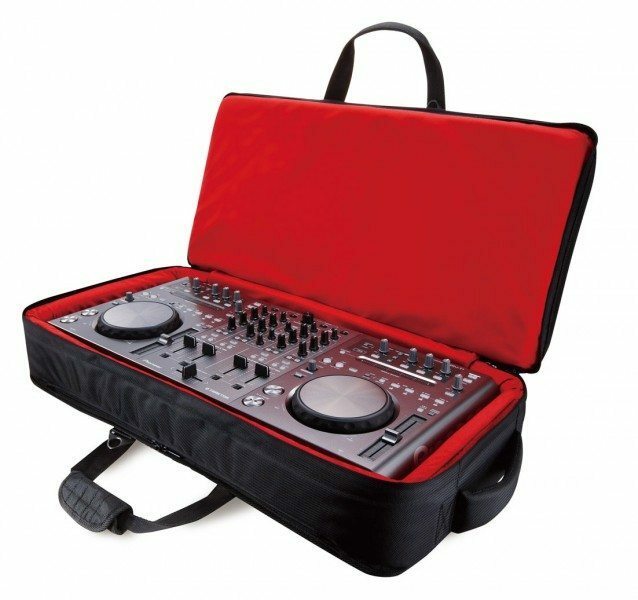 While I do love the compact package of the VCI-300 because it fits inside my small DJ pack, its size appears toy-like. When booking high-end corporate events, I often feel like my professional DJ equipment should be large enough to look “professional”. The other Itch controller offerings I’ve demoed to this point are either too large, too heavy (hello, NS7) or generally too awkward in form/package to easily move around. 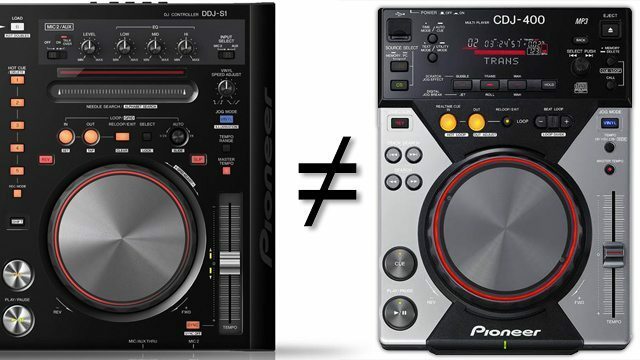 The DDJ-S1 seems just about right, in terms of not being too big or heavy to conveniently move. The headphone cue on the VCI-300 was as basic as possible, there are no easy push button cue on/off buttons and it requires you to fade from cue to master every time you want to hear what is coming out of the speakers vs. what you are trying to prefade. This is a huge challenge when mixing with an In-Ear-Monitor system and none of the current DJ mixers I’ve seen, use this system. 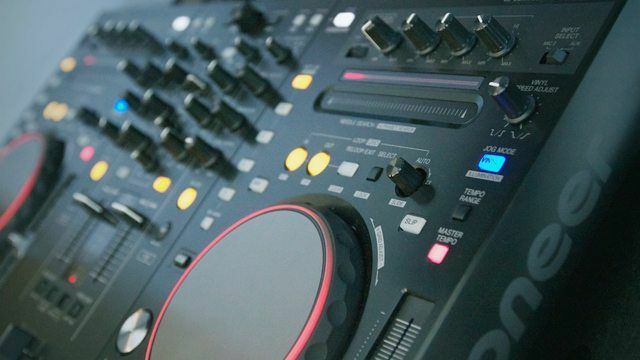 The DDJ-S1 has an almost identical system to its every popular DJM-800 cousin which is arguably the worldwide standard for club mixers, this similarity makes headphone cuing a snap when coming from the DJM800. I must admit I have not demoed the VCI-300’s FX extension box, but from the start, I like my compact mobile devices as stand alone units that dont require additional setup or external boxes. The DDJ-S1 has an array of basic FX that seem to be built in to the audio mixer portion of the device (they are native to the mixer and not the software like the SSL’s built in FX). However, I dont like the inability to tweak FX to custom settings. In attempts to make the VCI-300 more convenient to sell worldwide Vestax sells the unit without a power supply, relying solely on USB power. This becomes quite a headache when plugging and unplugging the computer while an auxilary source was in use. 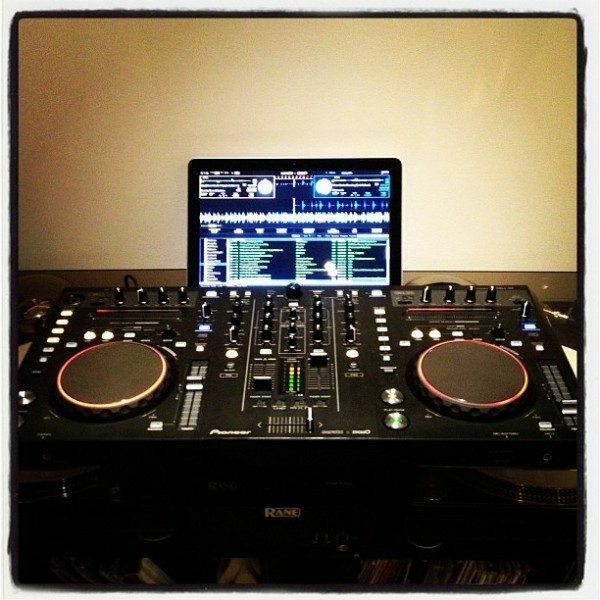 The DDJ-S1 is basically a powered mixer that can be run completely independently with both external mic inputs and a second aux in that can be operated without a computer running- very convenient if you need music playing but don’t want to leave your computer running. While the VCI-300 does pack a number of features for its dainty size, it leaves much to be desired: the jog wheels are minimally passible for the discerning turntablist, the EQs have a really stiff feel and being a Dicer user, I often look for the fourth and fifth cue buttons. The DDJ-S1 doesn’t have everything that I want in my turntable replacement, but it’s a whole lot closer. The jog wheels have quite a bit more expression as they are slightly larger then the VCI-300 and have a chase light that’s equivalent to the sticker on a record. It also sports five cue buttons as well as a complex array of looping controls. Also worth noting is the ribbon control/strip search that helps the user quickly scan through songs. I understand that one of the goals of this controller is to lure CDJ users over to the Itch platform, however its counterintuitive to base the looping system on the CDJ rather then previous versions of Itch or Scratch Live. The most efficient means of implementing looping would come from a seamless functionality unification between SSL and Itch so that users wouldn’t have to “relearn” the software when going cross platform. At the very least, why not offer a toggle between “CDJ” mode and an “SSL” mode? This is a huge shortcoming in an attempt to externalize what was previously an internal Itch setting. The standard setting for this control should be to be set to an instant start and a slightly delayed stop (to simulate the stop button on a technics 1200 turntable). This is achievable on the VCI-300 as it is an internal control, as well as on the CDJ1000 as there are 2 separate knobs for “start” and “stop”, but in the case of the DDJ-S1, I see no way to have an instant “start” and a delayed “stop”, arguably a major design flaw (which I hope can be remedied in a software fix). Reverse has never been a prominently featured control in SSL nor Itch, but the “censor” key is a valuable tool and has been an essential control since the early versions of SSL. 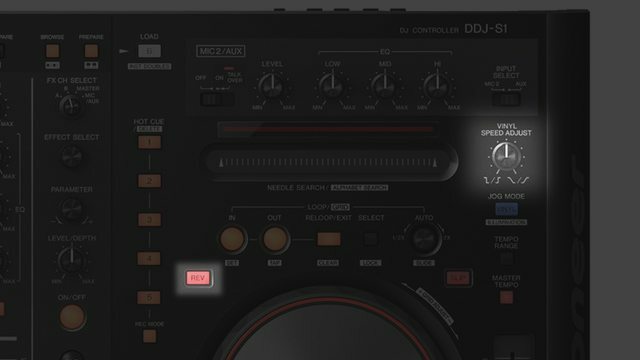 I understand that there’s a “Reverse” button on a CDJ but again, I feel the Itch control set should take precedence over the CDJ or at least allow either option as an adjustable setting. At the moment the “censor” function can be accessed by a Shift+Reverse key combo- a bit more cumbersome. The Sync button is in a very vulnerable location for accidental trigger. When resting my palm on the device to ride the tempo slider, I found myself dangerously close to pushing that button which could cause the songs to jump out of sync. Neither the Echo nor the Delay allow for a clean echo trail from either track in the classic echo style of either the Pioneer DJM-800 or the Rane TTM 57. An echo on a DJ mixer should allow the user to engage the track and allow the echo to decay after the source has been eliminated from the master bus. This is done on the DJM-800 by assigning the Echo to crossfader A or B and on the TTM57 by assigning the echo to the Flex FX. This shortcoming could be remedied in a software/firmware update, but at the moment, the Echo/Delay is barely effective on the DDJ-S1. The filter selection is also lacking and the S1 would greatly benefit from a universal combo HPF/LPF filter like on the DJM-800/900 which has now also been added to Rane’s new Sixty-One and Sixty-Two DJ mixers. The combo filter on one knob is by far the most effective filter effect for any mixer/control surface. After nearly an entire year with this DJ controller, I can safely say that this is not quite the “perfect” turntable surrogate, but it’s getting much closer. Since Pioneer seemed to pretty much nail the footprint and basic hardware controls, it seems that with some tweaking and innovation most of the shortcomings can be resolved with improvements to the software. SF Weekly published an obituary on DJ Solomon detailing his life and career, read it here.